Thank you for giving me this opportunity to post some of my thoughts for the next four years as your council representative. But first, a little history on myself. I was born and raised on a farm in Dufferin County, my parents moved to Gorrie near Wingham. I moved back home in 1978, when I started an industrial gas and medical home health care business in Goderich. My wife Margo and I bought a home in Port Albert. Our children are now living in Windsor and Guelph. I have had a life long interest in politics, at all three levels. 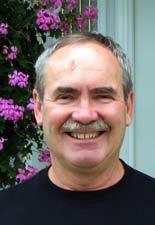 I am a member of North Street United Church, a founding member of the Chamber of Commerce and president for several years, and I am a Goderich Lions Club member of 20 years and an active member of ACW council for the last 9 years. Council raised the local ACW taxes by 3% which is in line with inflation and this reduced the actual mill rate that is multiplied by your assessment to give you your tax bill. We need to do more to support stream testing, rehabbing the stream banks and grass waterways. We need to seal abandon wells and assist in testing and fixing septic systems. I believe it is green power, and in using the new setbacks that council has proposed. The first problem is that the energy companies tend to want to negotiate with the fewest landowners when they should be negotiating with the most landowners. I would say let everyone have one wind mill who wants one before offering anyone a second wind mill. Every farm house used to have a wind mill for pumping water, now we need wind mills to provide the electricity to run the pumps. The second problem is the assessed value of wind mills is $40,000 per megawatt or $75,000 for the average wind mill; it takes 6 to 8 wind mills to equal the average lakefront cottage assessment. This agreement was negotiated between the provincial government and the power industry; and it is unfair to rural taxpayers and their municipalities. We have a new Road Superintendent and we need to encourage a culture of teamwork, to provide the very best customer service, rebuilding of gravel roads and paving, and clearing of winter snow and debris from summer storms. I believe each department head should have a rolling five year plan for equipment, roads, bridges, buildings, recreation, and fire protection. Council will adjust the priorities, but we can then forecast out five years when a project would be started and completed. I will listen to all points of view but in the end we are elected to represent the majority not a special interest group. I was first elected in 1997, I believe our 3 townships have worked well together, there is a tax base that allows us to complete a project in one year but small enough to know when something is going wrong. I ask for your support in the upcoming mail in ballot. Content provided to ACLA by Doug Fines, 2006-10-11.